"The Extraordinary KinemaGigz Website" has now been preserved by The British Library in the UK Web Archive! Conversion to an indoor skatepark may still be under consideration. No gigs are planned at present. Click HERE ... Then, if you know anything about an artiste or band that doesn't have a link - Tell me here! 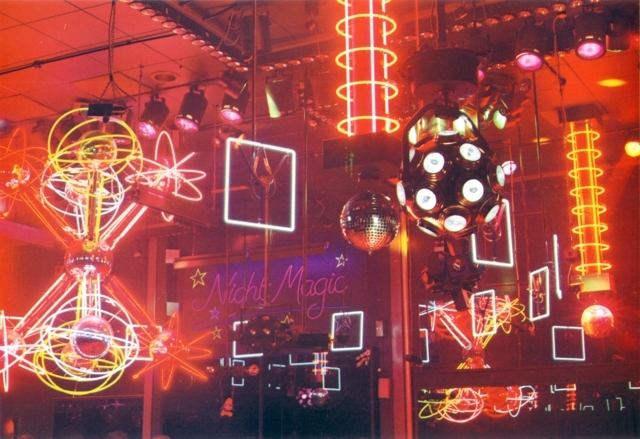 Do you have any images of the frontage of Night Magic? Mail them to me please! "Ghoulz, ... My memories of the Kinema are of great importance to me. It's where we supported the Clash. It was also the place we most looked forward to playing in the early days and dreamed of headlining, which we did on many occasions. The first time we played was an amazing experience, sold out, buses coming from all over Fife - a truly incredible night for me, a 17 year old local boy and I'm sure for the rest of the band. These were the happiest times for us, before we changed and slowly pulled apart. Congratulations on the site". 'Big bands, wee ( or just odd) gigs...and Fife, Kingdom of Rock'! 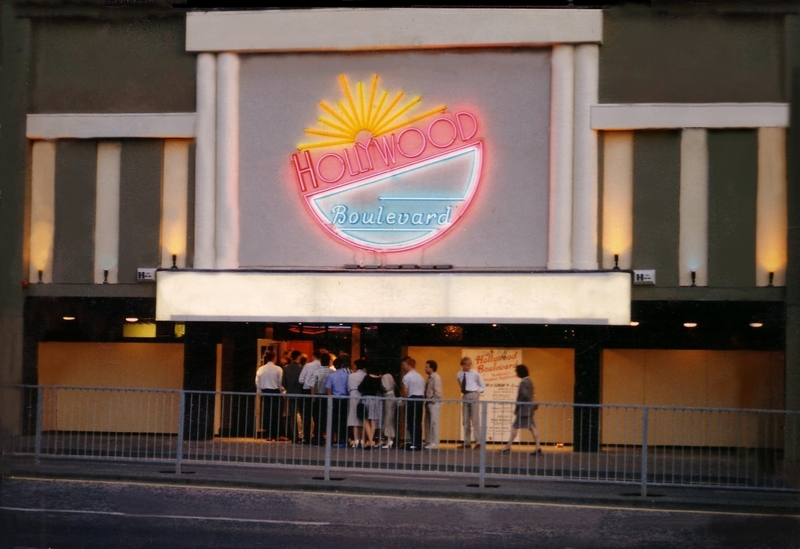 "Not only did Fife appear to have been the epicentre of Scottish rock 'n' roll activity throughout the 60s and 70s, but there were some extraordinary memories of incongruous band/venue matches". 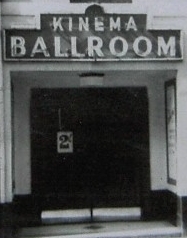 "But it was Brian Petrie who pointed me in the direction of the extraordinary KinemaGigz website, a detailed history of the Kinema venue in Dunfermline (still functioning as 'Velocity') and the 10,000 odd gigs that have taken place there". "What on earth was it about Fife"? "In Brazil with Nazareth doing the first shows of World Tour 2011 - This site is fantastic. We are on a day off in Curitiba and for me to be reading all these memories is an emotional roller-coaster as it takes you back to your youth and say hey the Ballroom was and is A Really Cool Place. We were really lucky in Central Scotland to have such a gift!" "Keep up the great work Ghoulz." So then ... What is KinemaGigz? Launched on 14th September 2006 after 11 months graft and still a live 'work in progress', KinemaGigz aspires to help give The Kinema Ballroom in the historic City of Dunfermline the recognition it deserves as one of the more important venues in the history of live music performance in Scotland. At their most popular there were more than 600 such Dance Halls / Ballrooms all over Scotland and Dunfermline is proud to still have hers intact and still performing the same function. "Important?" I hear you say - Just take a look at some comparative statistics for Glasgow's Green's Playhouse/Apollo for instance, against The Kinema Ballroom. The Kinema Ballroom was never even in the same league as the Apollo, however I reckon it's relative importance has been overlooked. 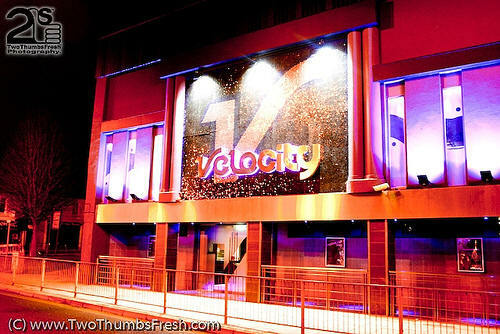 It has been known variously as 'The Kinema Ballroom', 'Night Magic', 'Hollywood Boulevard', 'The Ballroom', 'Velocity' (and very briefly 'The Ballroom' once more though the Velocity sign remains). 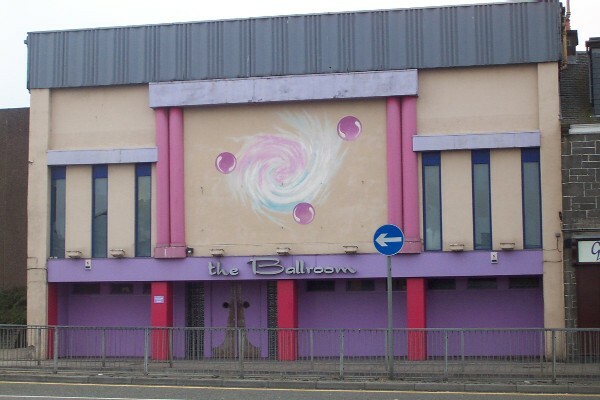 I will refer to it as simply 'the ballroom'. The following pages contain the only known record of every live music performance in the ballroom from its opening night in 1938 to the present day, together with artist biographies, photographs and recollections from the people that were there. Were you? I believe I've nailed almost all of the 10,000+ dates and 1,170+ acts spread over 75+ years! (and counting). I've written around half of more than 1020 biographies that I've listed so far, and reproduced the rest with permission. There's still about 150 to find & with your help I believe many will be found. Additions and improvements are appearing frequently, so check out my 'Wot's New' page from time to time. (I recommend you bookmark this page for future reference). Pop, Jazz, Big Band, Rock, Gospel, Soul, Punk, Folk, Dance, Swing, New Wave, Heavy Metal, Mod, Ska, Electronic, Reggae, Blues, Country, Rock 'n' Roll, Progressive, Funk, New Romantic, Disco, it's all here. Matt Monro, Elton John, Cliff Richard, David Bowie, Cream, Billy Connolly, Acker Bilk, N-Trance, The Damned, Atomic Kitten, Thin Lizzy, Boney M, Bucks Fizz, The Dubliners, The Who, Rolf Harris, The Skids of course and hundreds of others some of which neither you nor I have even heard of! They've all played the ballroom! If you're interested in who built this site and why, there's a piece about me and why / how I built the site here. The stuff I need to improve the site. Can you help? Be a contributor or just tell me how great it all is! What do my visitors have to say? In publishing this web site, I'm sharing my research and knowledge with you. I hope you enjoy it and that you'll come back soon to check for additions, changes and improvements. If you can add any information to the list or think any of the data presented here is inaccurate, please contact me using the Feedback page and share it. I'll then try to include it, especially if you have some 'hard evidence' such as ticket stubs etc that you could scan and send to me. I'd love to include any photographs of the ballroom (inside or out but especially bands on stage) and scans of ticket stubs or newspaper articles etc. so please consider offering them to me for publication here. 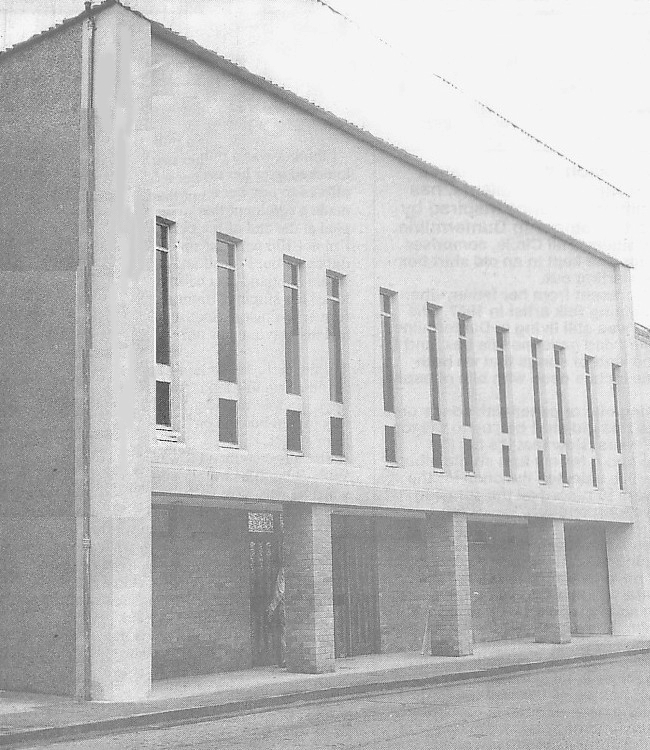 If you have particular memories of the ballroom and would like to share them, contact me using my Feedback page. Be sure to indicate if you wish them to be published here and whether you wish to remain anonymous! Thanks for your interest, ... I sincerely hope you enjoy the site as much as I am still enjoying researching and improving it. KinemaGigz is a personally funded labour of love which receives no commercial/financial support at all. If you have enjoyed your visit & would like to make a donation to the cost of it's upkeep, click the button below. "Thank you so very much" - Ghoulz. The Intellectual Property Rights of this website and the original materials on it belong to Colin WK Gourlay. This website and the materials on it and the Intellectual Property Rights therein may not be copied, distributed, published, licensed, used or reproduced in any way (save to the extent strictly necessary for, and for the purposes of, accessing and using this website) without the prior written consent of Colin WK Gourlay. Material reproduced from other websites should be clearly indicated as such and therefore permission to reproduce must be sought from the appropriate webmaster. Should I have missed an ownership credit, please inform me and this will be rectified by adding such credit or by removing the said material as shall be acceptable to the owner. I, Colin WK Gourlay, have prepared the content of this website responsibly and carefully and made every reasonable effort to ensure that it is up to date and accurate. This disclaimer governs your use of this website and by using this website you accept this disclaimer in full. If you disagree with any part of this disclaimer, you must not use this website. Colin WK Gourlay is not liable for any loss or damage suffered as a result of the use of, or inability to use, the site or any material contained in it, nor is he responsible for the content of linked sites.